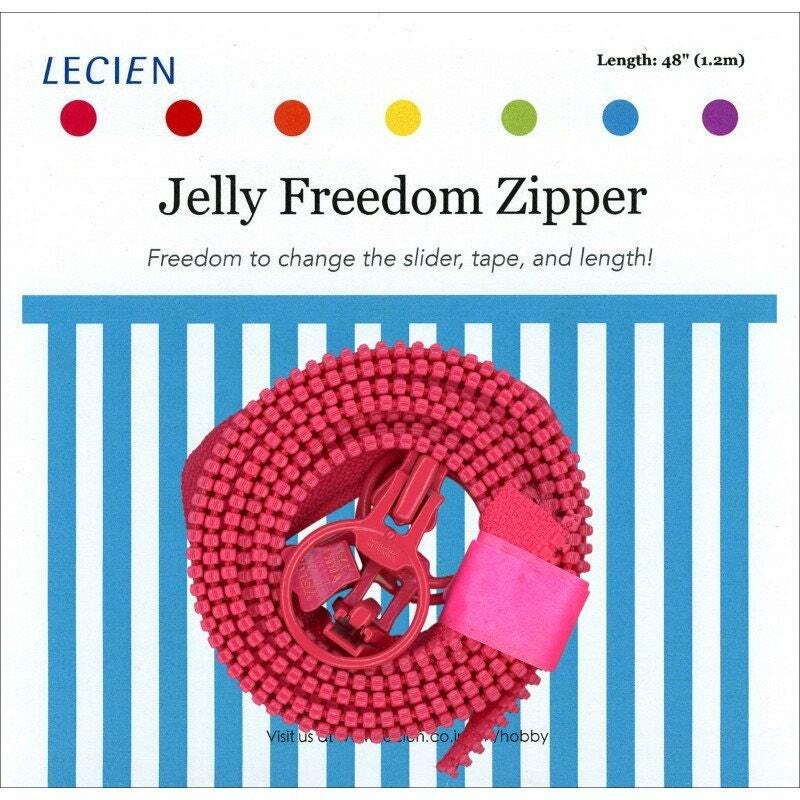 Lecien's "Jelly Freedom Zippers". 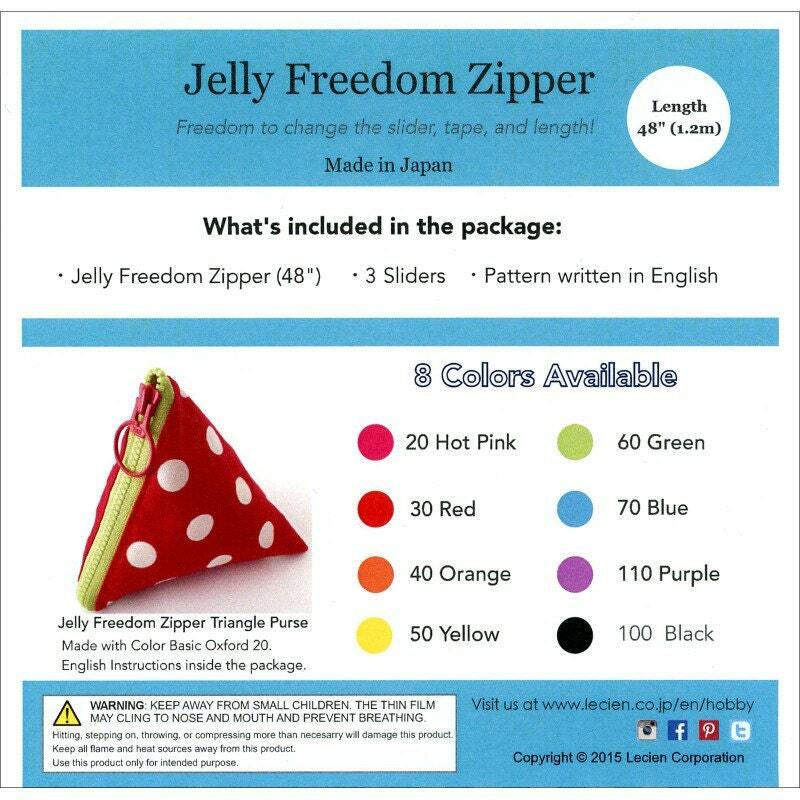 Buy several and have the freedom to change length, tape, and slider anyway you like! 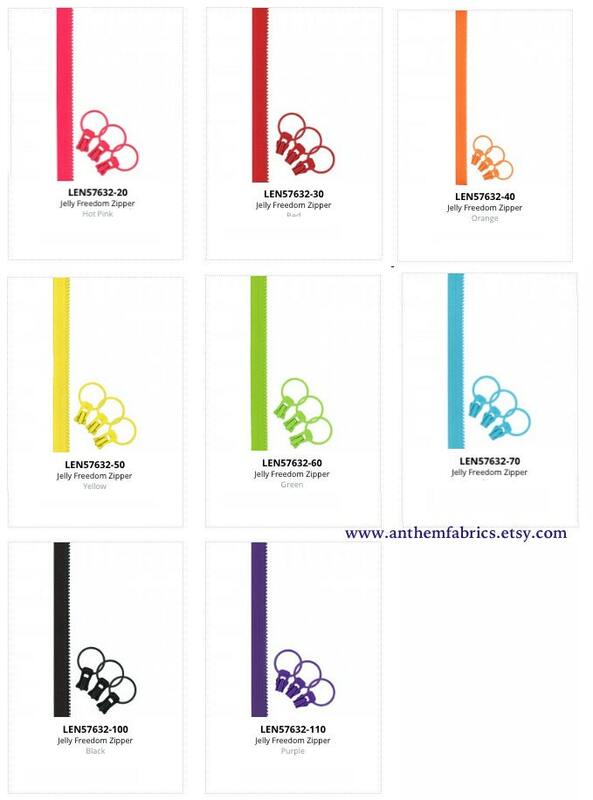 Comes in 8 fun colors. - English instruction to make the triangle purse! 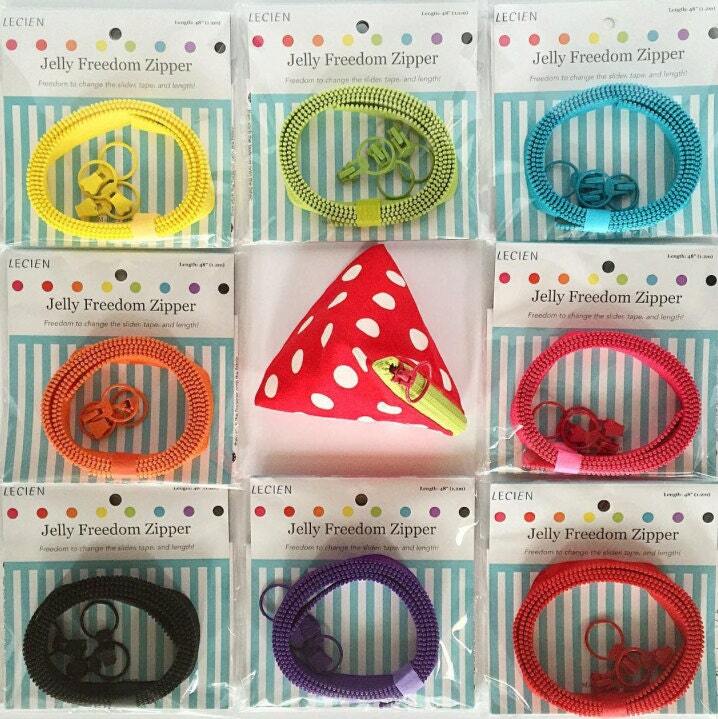 Polyester zipper with polyester edge, zinc alloy slider. Limited supplies, please refer to the list then select from the drop down menu.